Former Ernst & Young US partners have been handed jail terms for their roles in tax shelter schemes. Robert Coplan was sentenced to three years in prison and ordered to pay a $75,000 fine. Coplan was the leader of the firm’s individual tax shelter group and the former national director of its wealth planning practice. Martin Nissenbaum was sentenced to 30 months in prison and ordered to pay a $100,000 fine. Nissenbaum was a member of the firm’s tax shelter group and national director of its personal income tax and retirement planning practice. Richard Shapiro was sentenced to 28 months in prison and ordered to pay a $100,000 fine. Brian Vaughn was sentenced to 20 months in prison. Russian firm 2K Audit-Business Consulting is to join Morison International. 2K Audit-Business Consulting has 15 partners and 240 staff across its offices in Moscow, St Petersburg, Ekaterinburg, Iskutsk, Kazan, Kirov, Krasnoyarsk, Novosibirsk and Ufa. Services provided include audit, tax advisory, accounting, valuation, law, forensic, corporate and financial consultancy. The firm provides services for public listed entities, banks, large-scale holdings and acts as an adviser to a number of government bodies. Kreston International has added a firm in China and expanded its presence in Europe. Shaanxi San Qin CPA, based in Xi’an in central China, has three partners, 26 professional staff and provides audit and accountancy services. Kreston member firm Iberaudit Auditores, which serves clients in Spain and Portugal, has opened its doors in Andorra, offering audit, accountancy and legal assistance services. Kreston BulMar has completed a number of mergers in Bulgaria, expanding its coverage to Sofia, Veliko Tarnovo, Rouse, Silistra, Yambol and Kardzhali. BDO has extended its Middle East coverage with the addition of a fast-growing Saudi Arabian firm. Dr Al-Amri & Co has 45 employees, including three partners and 30 professional staff. It serves clients in Dammam and Riyadh. BDO said the firm’s fee income has shown steady year-on-year growth, with a 21 percent increase from 2007 to 2008. Managing partner Mohamed Al-Amri claimed the firm is the fifth largest in the kingdom, acting for about 10 percent of the companies listed on the Saudi Arabia Stock Exchange. The UK Accounting and Actuarial Discipline Board (AADB) cleared BDO Stoy Hayward of any misconduct relating to its audits of XL Leisure Group. XL Leisure Group, one of the UK’s largest package holidays providers, went into administration in September 2008. The collapse left about 85,000 holidaymakers stranded overseas and a further 240,000 customers without holidays they had booked. XL’s audited accounts for the year to 31 October 2007 were prepared on a going concern basis and approved by the board on 16 May 2008. The unqualified audit opinion signed by BDO Stoy Hayward was dated 23 May 2008. The focus of the AADB investigation was the audit of XL on a going concern assumption. The board stated that it did not identify any acts of misconduct by the firm. 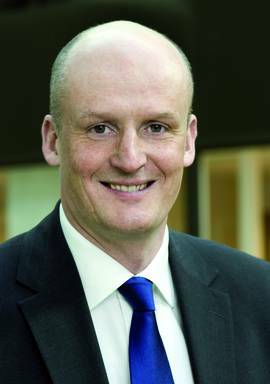 Grant Thornton Sweden chief executive Peter Bodin has taken over as chairman of Grant Thornton International, succeeding the network’s new chief executive Ed Nusbaum. Bodin became Grant Thornton Sweden chief executive in 2000 – the youngest CEO of any large accounting firms in Sweden at the time. The mid-tier network described Bodin as passionate about leadership and business developments. Bodin will serve a fixed two-year term, which commenced on 1 January 2010. US consolidator CBIZ has acquired the non-audit business of Goldstein Lewin & Company based in Boca Raton, Florida. Mayer Hoffman McCann, which operates in an alternative practice structure with CBIZ, has acquired the audit business of Goldstein Lewin & Company. Goldstein Lewin & Company has 85 associates and recorded about $13.7 million in revenue during the past 12 months. The firm provides tax planning and compliance, wealth preservation and estate planning, technology consulting, software consulting, accounting, auditing, business valuation and litigation consulting. CBIZ will integrate and co-locate its existing financial services office in Boca Raton with Goldstein Lewin. Moore Stephens UK has merged with internal audit boutique business AHL Business Assurance. AHL Business Assurance specialises in providing governance, risk and internal audit services to blue chip clients across the public sector, including departments, agencies and non-departmental public bodies. Moore Stephens said the merger will boost its public sector practice and also enable continued growth in other specialist industry sectors. AHL Business Assurance directors Sarah Hillary and Robert Noye Allen have become partners at the firm while the rest of their team has joined Moore Stephens’ governance, risk and assurance practice. PricewaterhouseCoopers (PwC) Canada has acquired professional services consulting group MTS Allstream, a subsidiary of Manitoba Telecom Services. The acquisition includes client contracts and about 180 national consulting professionals from MTS Allstream’s IT consulting and security consulting groups. PwC Canada national managing partner Bill McFarland said the firm would be able to leverage the expertise of this group and its network of vendor and subcontractor relationships to greatly expand its technology service offerings.